CBS has the most total viewers but that doesn’t mean that your favorite shows are necessarily safe. After all, with so many successful shows, they can be picky. Is your favorite CBS TV series returning or has it already been cancelled? What TV shows have already been renewed for another season? 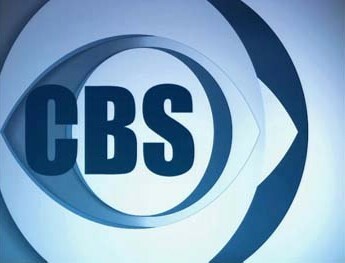 Here’s a list of all of the regular CBS series that have aired (or are expected to air) during the 2011-12 season (what we’re calling roughly September 2011 to August 2012). Using this “cheat sheet” you can tell where your favorite CBS TV series stands; how many episodes are in the current season, when it’ll be back on the air and, of course, if it’s already been renewed or cancelled. If you can’t find a particular CBS program on this list, it may have been cancelled last season (2010-11) or perhaps the one before (2009-10). For a list of cancelled shows from all networks, you can go here. It may also be possible that we missed something so feel free to let us know in the comments below. NOTE: This page is no longer being updated. You can find newer versions here. Unforgettable 1 (22 eps, aired) cancelled but then "un-cancelled"
What do you think? Which CBS TV shows won’t be renewed? Are there any that you wish would be cancelled? More about: 2 Broke Girls, 2 Broke Girls: canceled or renewed?, 3, 3: canceled or renewed?, 48 Hours, 48 Hours: canceled or renewed?, 60 Minutes, 60 Minutes: canceled or renewed?, A Gifted Man, A Gifted Man: canceled or renewed?, Big Brother, Big Brother: canceled or renewed?, Blue Bloods, Blue Bloods: canceled or renewed?, CBS TV shows: canceled or renewed?, Criminal Minds, Criminal Minds: canceled or renewed?, CSI: Crime Scene Investigation, CSI: Crime Scene Investigation: canceled or renewed?, CSI: Miami, CSI: Miami: canceled or renewed?, CSI: NY, CSI: NY: canceled or renewed?, Dogs in the City, Dogs in the City: canceled or renewed?, Flashpoint, Flashpoint: canceled or renewed?, Hawaii Five-0 (2010), Hawaii Five-0 (2010): canceled or renewed?, How I Met Your Mother, How I Met Your Mother: canceled or renewed?, How to Be a Gentleman, How to Be a Gentleman: canceled or renewed?, Mike & Molly, Mike & Molly: canceled or renewed?, NCIS, NCIS: canceled or renewed?, NCIS: Los Angeles, NCIS: Los Angeles: canceled or renewed?, NYC 22, NYC 22: canceled or renewed?, Person of Interest, Person of Interest: canceled or renewed?, Rules of Engagement, Rules of Engagement: canceled or renewed?, Same Name, Same Name: canceled or renewed?, Survivor, Survivor: canceled or renewed?, The Amazing Race, The Amazing Race: canceled or renewed?, The Big Bang Theory, The Big Bang Theory: canceled or renewed?, The Good Wife, The Good Wife: canceled or renewed?, The Mentalist, The Mentalist: canceled or renewed?, Two and a Half Men, Two and a Half Men: canceled or renewed?, Undercover Boss, Undercover Boss: canceled or renewed?, Unforgettable, Unforgettable: canceled or renewed?, ¡ROB!, ¡ROB! : canceled or renewed? I LOVE RULES OF ENGAGEMENT!! please don’t cancel csi mamai it is one of our favortie drama’s . as faras i’m concern you can cancle al of te reality shows and all of the talk shows . I love some of the reality TV such a Survior, RHONJ, RHOBH, Defiance, and alot of the other programs I think you should get rid of some of the other programs susch as Repo of South Beach, some of the paranormal programs are really way out there. But then again there seems to be a couple of really good ones such as the one on SyFy Wednsday nights at nine (9) pm.